Some email newsletter services require that you upload a CSV file of emails instead of an XLS file. First, download your new subscriber spreadsheet from the Box link you were sent. 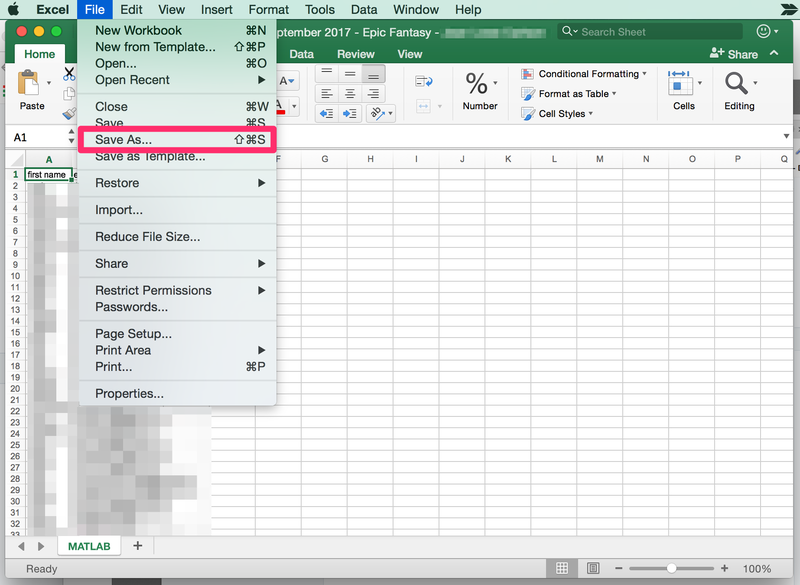 To change your spreadsheet from XLS to CSV, open your downloaded spreadsheet in Microsoft Excel. 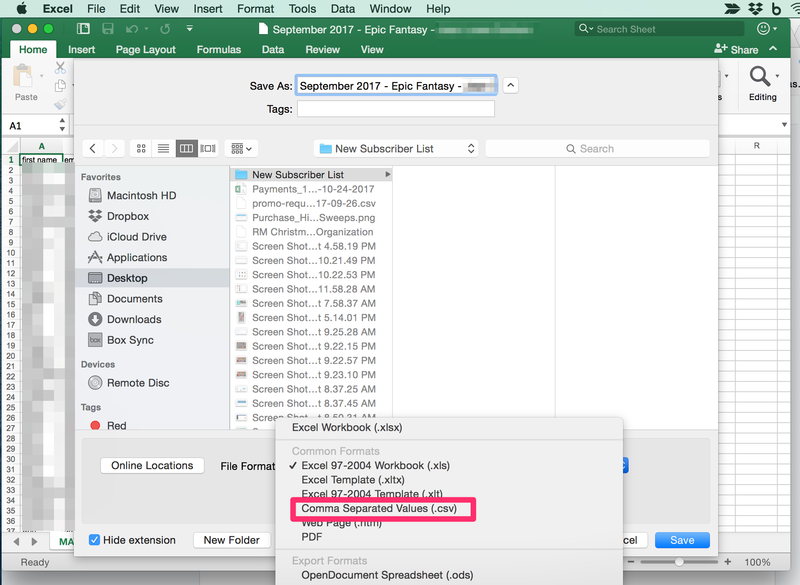 Navigate to "File" —> Save As. Select "Comma Separated Values (.csv)" from the dropdown menu and hit "Save". Your spreadsheet is now in CSV format and ready to upload to your email provider.